Year after year, in addition to getting my clients’ product news and case studies into trade publications, I help them win awards and achieve special recognition. The publicity builds their reputations, promotes their products, and boosts their brands. 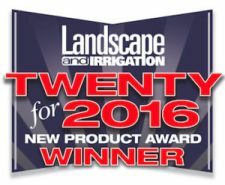 Landscape and Irrigation annually reviews new product introductions and selects the Top 20 based on technology innovation and market potential. This year, IrriGreen made the list. Professional Builder revealed its annual Top 100 products for high-end residential construction based on inquires from its readers. This year, two clients are showcased: Porous Pave and Sustainable Materials. How do I achieve these results? I tell good stories and tell them well. Ready to make your company a winner? To get started, let’s connect.